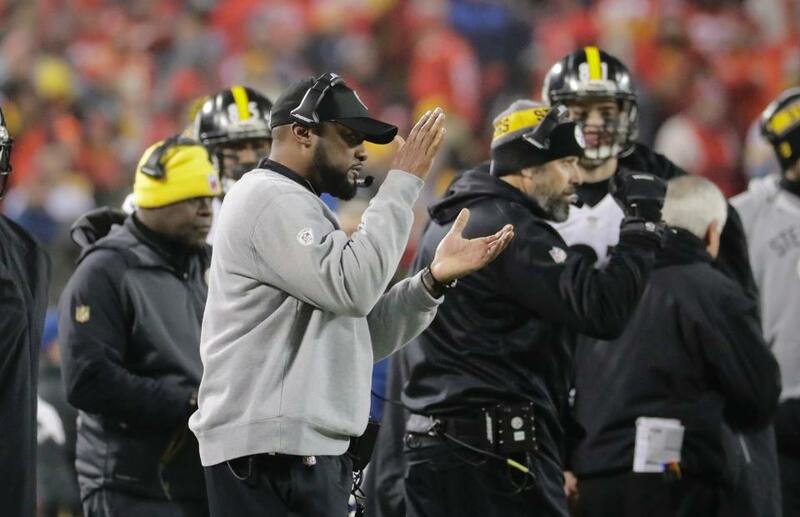 Mike Tomlin is known around the NFL as an elite motivator. But the line between motivation and plain old stupidity is often thin, and it looks like the Steelers crossed it on Sunday night. Immediately after the game, wideout Antonio Brown live streamed the locker room scene on Facebook--as his coach called the Patriots "a--holes" and his teammates told everybody to "stay low" on social media throughout the week. Nice, AB. It was definitely a stupid move, but it looks like the Patriots couldn't care less about the Steelers' blunder. When asked about it on Monday, linebacker Dont'a Hightower replied, "is that supposed to hurt my feelings?" Receiver Julian Edelman pointed to organizational differences instead: "Hey...that's how this team is run. I personally don't think that would be something that would happen in our locker room but, hey, whatever." Bill Belichick also took the opportunity to butcher more social media names. "As you know I'm not on SnapFace and all that, so I don't really get those. I'm really just worried about getting our team ready to go. I'm really not to worried about whatever they put on InstantChat, or whatever it is." Well, you can't say you couldn't see that one coming. On a more serious note, Brown could be fined by the league for violating its social media policy--players are not allowed to film or stream until 90 minutes after the end of the game. But unfortunately for Pittsburgh, that's really not the Steelers' biggest problem. The Patriots played a subpar game by their standards against the Texans last Saturday, and you can bet they're not going to come out flat again. Brown just gave the best team in the league more fuel for their fire. We'll see if he gets burned on Sunday.